National Fire Protection Association (NFPA) Board of Directors voted unanimously to name Jim Pauley of Lexington, Kentucky, as the next president of NFPA. 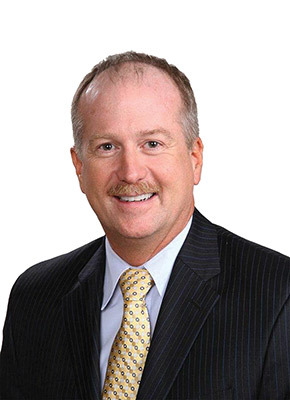 Pauley is currently senior vice president of External Affairs and Government Relations for Schneider Electric and will assume his new role in July. Pauley has been with Schneider Electric since 1985 when he began as an application engineer. He has held a number of positions through the years and was appointed to his present position in 2011. He holds a bachelor of science degree in engineering from the University of Kentucky. “I am excited about the opportunity to lead such a terrific organization in a time when there is tremendous opportunity to have even greater impact on fire and other hazards facing all of us,” said Pauley. Pauley will succeed James M. Shannon who has served as NFPA president since 2002. Shannon has been at NFPA for 23 years, having joined the organization as vice president and general counsel in 1991. He had previously served as a Member of Congress representing Massachusetts and as Massachusetts Attorney General. Pauley has been an active member of IAEI since 1993, and has been a frequent contributor to IAEI magazine. He has particularly encouraged the interaction between IAEI and corporations. “Jim Pauley is committed to all aspects of electrical safety — both theoretical and practical,” says David Clements, CEO of IAEI. “He has invested many hours in helping IAEI achieve its goals of reaching out to the larger electrical community. Questions from the AHJ – To Fuse or Not to Fuse?